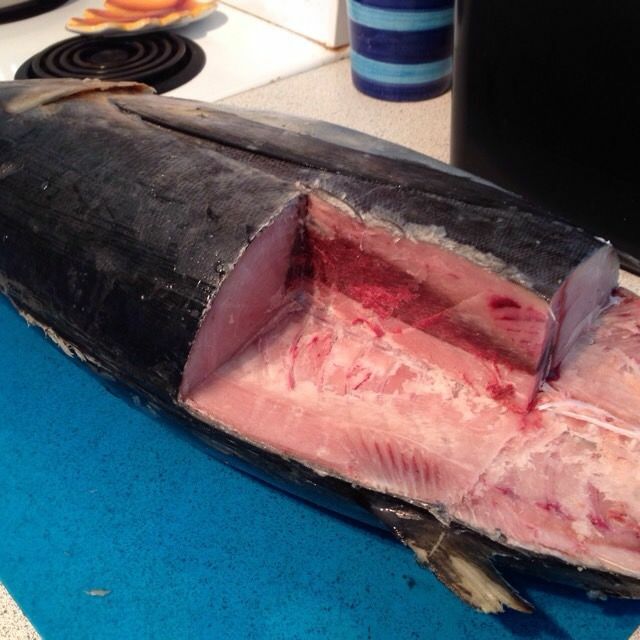 Bought a 15lb frozen tuna and had to process it before it thawed. 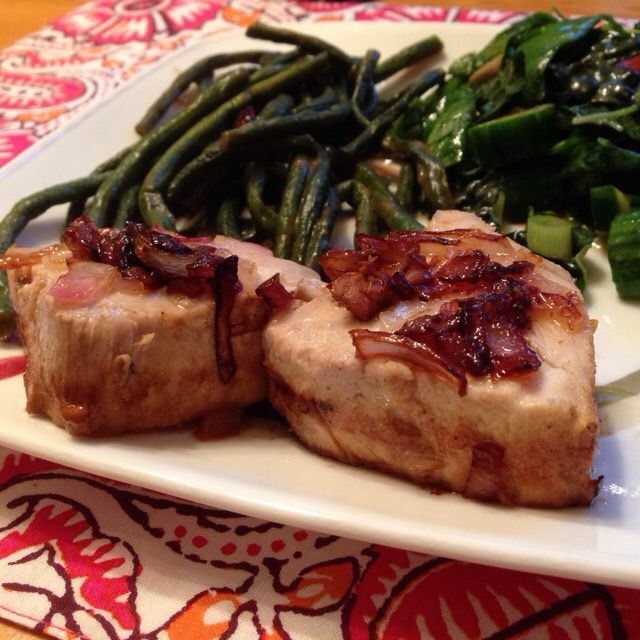 Then made epic tuna dinner. Excuse the butchering. A big fish that I sectioned into chunks while still frozen. Red onions stood in for shallots, sautéed in canola oil. 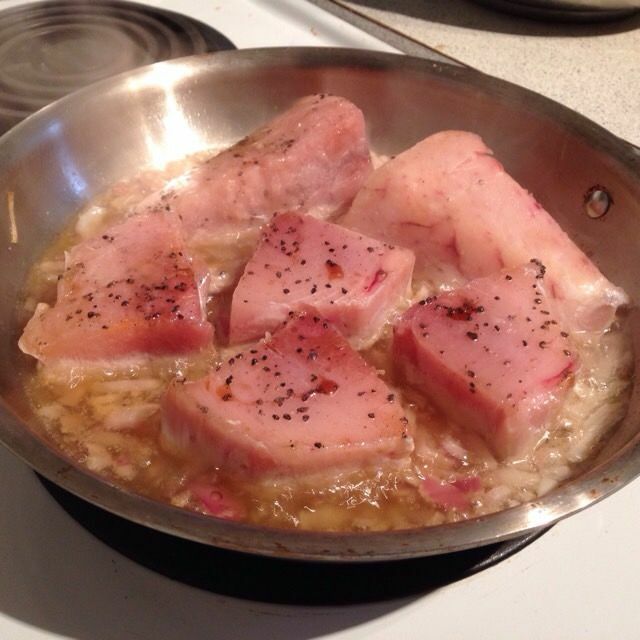 Adding some peanut oil & ponzu sauce marinated frozen tuna steaks. The onions caramelized nicely. 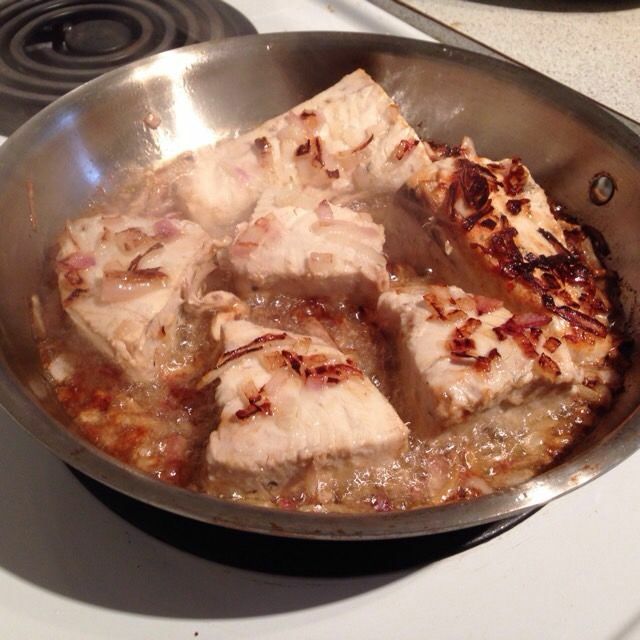 Finished with a knob of butter and some fresh lemon juice for a brown butter style sauce. Also did long beans with a chilli peanut sauce and a variant on kale salad that also had spinach. Kind of tuna poke or spicy tuna. 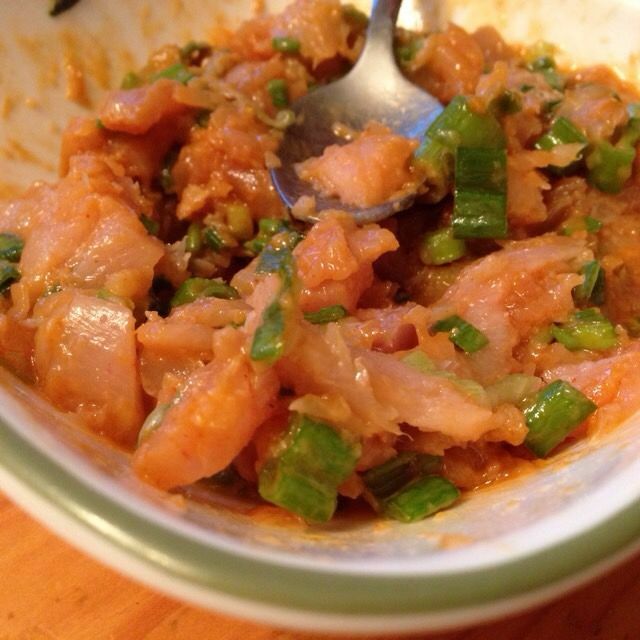 Shaved tuna bits plus peanut oil, ponzu sauce, lots of green onions, rice vinegar, and some Louisiana hot sauce.